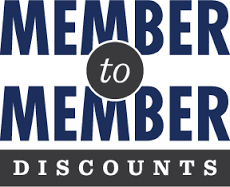 Deals & Discounts – Tottenham Beeton & District Chamber of Commerce Inc.
Do you have a special deal, discount or promotion to offer other Chamber members? Available to our Members only, you can advertise here for FREE! All our Chamber Members are invited to advertise for FREE their “business deals & discounts” on our website to bring more clients to you! So if you have a discount or any special to offer let us know and we will help you spread the word! Simply send us an email to: admin@tbdcc.ca describing your promotion in detail and we will list them below. Here’s to making your business grow! BUDGET BLINDS – Offering 35% OFF to all chamber members. PAT JORDAN/THE JORDAN TEAM – Offers a $500 gift card when you close a purchase or sale. VINCE’S MARKET – Chamber members will receive 5% back on any Gift cards purchased for clients or employees. LARA YOUNG DESIGN – Free design consultation + 20% off first design job for Chamber members. From renovation and updating interiors to complete brand reconstruction. www.larayoungdesign.com With over a decade of experience in strategic design let us help you to prioritize your business improvement options. Email lara@larayoundesign.com.